Last week, Golden Valley Memorial Healthcare had the honor of receiving the Mary Strack Partner of the Year Award at the national Bright Futures conference. We’re equally proud of the Clinton School District, which received the national Spotlight Award. 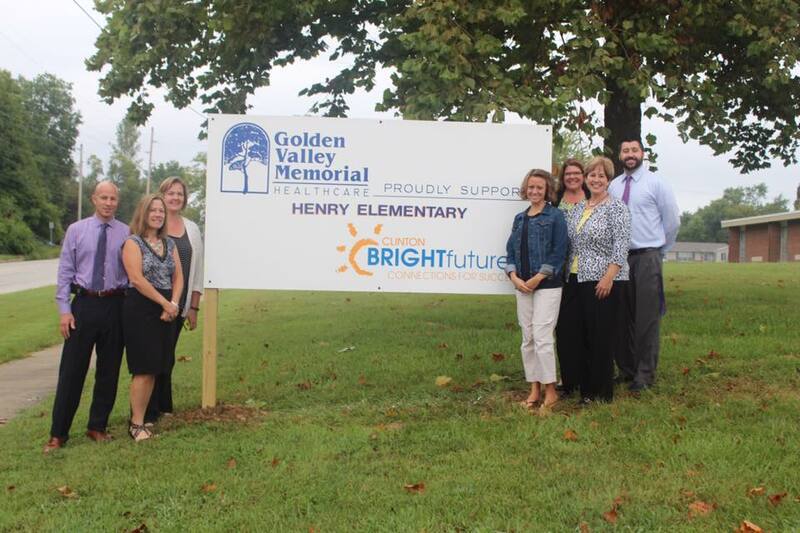 We partner with Henry Elementary through Clinton Bright Futures so we can make a difference in the lives of children who need champions. Our staff members are in the building nearly every day. They read to and with kids, each lunch with them, go to recess with them, present skits and awards and do what they can to support the teachers and staff who are helping the children grow to become productive citizens. Our vision focuses on making a difference in each life we touch. And while our vision and our mission specifically mention healthcare, we believe we have a role to play in the vitality of our schools and, consequently, the overall health of the communities we serve. We recognize that we, along with the public education system, are part of our community’s landscape. We work collaboratively because our children are our future. Bright Futures elevates our involvement in our schools. We are more committed as an organization collectively and as employees individually. We also treasure the children and teachers whose faces are now familiar to us. We find that the dividends from our involvement in Bright Futures far exceed our investment. Yes, we put dollars to work each month providing supplies, rewards and matching funds as requested. We encourage our staff to leverage their interest in helping others with time away from work to volunteer regularly. We also actively seek learning opportunities for students that bring them from their campus to ours. Those outings allow them to brighten the lives of patients or discover how interesting healthcare can be and the variety of jobs available right here in their hometown. Making an investment in the life of a child is a privilege. Becoming a champion for children is priceless. We have received many times more than the time, talent and treasure we have shared. The return on our investment takes many forms – smiles, laughter, warm clothes, nourishing snacks, watching a child grow confident in a skill like reading. We have discovered that the journey is equally as important as the destination. As a partner, we have the ability to empower the children we meet and encourage the teachers who guide them. In our community we are one of the largest employers, but size does not matter when it comes to involvement. All of us have enough to share. And children aren’t impressed, at least not for long, by big checks and grand programs and all the other stuff that money makes possible. What matters to a student is that someone cared. That someone took the time to show up and keep showing up. That someone said, “You are worth it.” That’s an investment any of us can make.